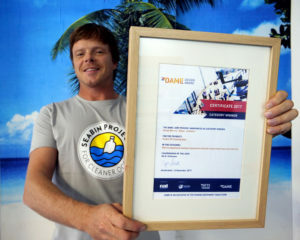 The last 3 years have been an amazing journey and Seabin are starting receive some recognition for our efforts, thanks again everyone for the support because without it, we would not be here today installing Seabin’s around the world and laying the foundations for a cleaner future. 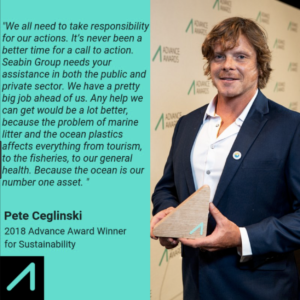 Seabin CEO & Co Founder Pete Ceglinski has been rewarded for his innovation and mission to have pollution free oceans for future generations. 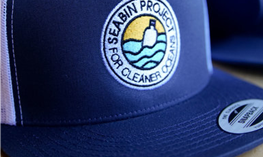 The Seabin Project approaches the problem of litter in our oceans using a combination of education, science, research programs, data collections, partnerships, collaborations and community activation. The Seabin Project welcomes the support of Advance and the many opportunities this exposure and reach will have in assisting us to reach our goal. 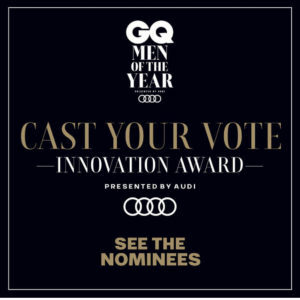 Our very own Seabin Project’s Pete Ceglinski accepted the Audi and GQ Award for Innovation relating to the product development of the Seabin Project. The success of the project continues with the Seabin units being sold and trialled in major cities around the world. 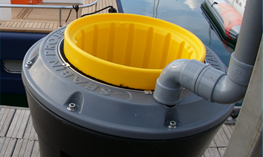 With Seabins in over 60 marinas around the world, the “For cleaner oceans” is starting to become a reality with each new Seabin deployed. The Seabin Project won the Social Impact Award for their Whole Solution Strategy as part of the 2018 Good Design Awards. 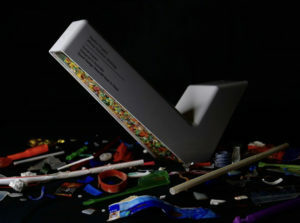 The Seabin Project was recognised for addressing the ocean plastics crisis using a ‘whole solution’ strategy combining education, science, research, technology, community and industry. 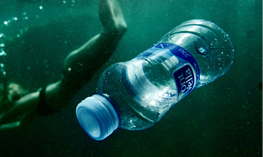 As a bonus, the trophies were made with incorporating Seabin Plastics into the design. This is the first up-cycling of Seabin Plastics and we hope to see more in the near future! Thanks Good Design Australia and Evolve Group for making this happen! 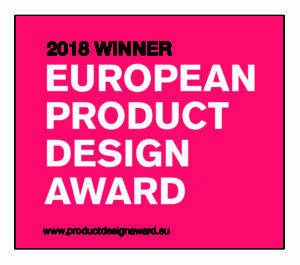 The Seabin Project was recognised for their innovative and imaginative creation to address the current oceanic littering problem with a whole solution strategy by the European Product Design Awards. 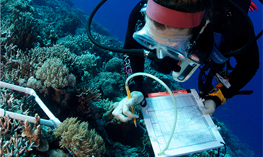 Technology, Education and Science are combined to create a whole solution to the issue. Each Seabin has the capability to remove 1/2 Ton of debris per year and for less than $1 a day. 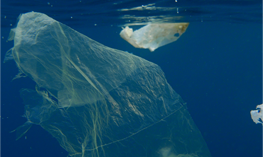 The Seabins are capturing macro plastics (bottles and bags), micro plastics 5-2mm in size, mirco fibers and surface oils. Poralu Marine and the Seabin Project secured the DAME Design Award in the Marina Equipment category for the first commercial version of the Seabin V5 at the Marina & Yard Pavilion at Metstrade 2017. The innovative marina-based Seabin was displayed by Poralu Marine in the Marina & Yard Pavilion at Metstrade with the product attracting a continuous stream of visitors. 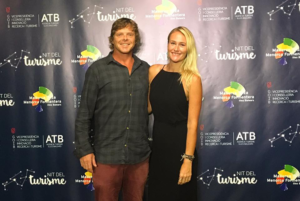 Port Adriano in Palma de Mallorca and the Seabin Project were awarded the Tourism Award of the Balearic Islands in conjunction with the Seabin Project for their partnership of excellence in corporate responsibility. Port Adriano is one of Seabin Project’s main sponsors, supporting Seabin by being the first port in Spain to install one of the prototypes. This partnership is a turning point for future actions within Spain and an ongoing commitment to extensive sustainability practices. 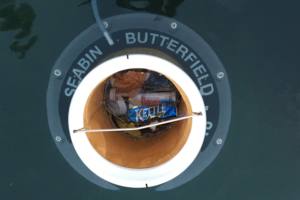 Seabin Project Pilot Partner, Butterfield Bank Bermuda has been rewarded for their initiative and dedication to cleaning up the world’s oceans, one Seabin at a time. Receiving the Bermudian’s Product & Service Award for Green Company or Initiative, Butterfield’s partnership with the Seabin Project at the Hamilton Princess & Beach Club’s marina is extending to The Cayman Islands and Guernsey. 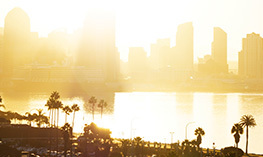 The clean tech, as well as the educational program, is something that Butterfield are incredibly passionate about due to the banks’ locations situated on islands. The Seabin Project won the Social Impact Award as part of the 2016 Good Design Awards for their innovative automated rubbish bin design for water in marinas and commercial docks. “Many years ago when I was in design college we would see the GOOD DESIGN AWARDS going on and never did I dream that one day we would be in it,” said Seabin Project’s Pete Ceglinski.